In a recent surprise interview with The New York Times, President Trump reflected on his massive electoral college win. More importantly, how Hillary managed to blow it. She spent too much time focused on the popular vote, he said. He, on the other hand, knew the importance of catering to the electoral college. And by the way, I didn’t deal with Russia. I won because I was a better candidate by a lot. I won because I campaigned properly and she didn’t. She campaigned for the popular vote. I campaigned for the Electoral College. And you know, it is a totally different thing, Mike. You know the Electoral College, it’s like a track star. If you’re going to run the 100-yard dash, you work out differently than if you’re going to run the 1,000 meters or the mile. His remarks give us a chance to take another look at the current election process - a process that The Institute for Research on Presidential Elections wants to shake up. This summer Townhall attended a seminar hosted by the IRPE in which they proposed a National Popular Vote bill to guarantee the presidency to the candidate who receives the most popular votes. Their goal is to have every vote counted equally. State legislatures would change their laws to award their electoral votes to whoever wins the most votes nationwide, regardless of state-by-state results. Ten states (CA, HI, IL, MA, MD, NJ, NY, RI, VT, and WA) and the District of Columbia have enacted the legislation, but the interstate compact would only take effect when they collect 270 electoral votes, the group explains. Matt was the first of us Townhallers to attend the conference and he had an in depth analysis of the IRPE's arguments. As he noted, the popular vote compact would have a special incentive for demographics who tend to feel marginalized in general elections - such as conservatives in New York and California. A common concern is that rural communities would be ignored. The IRPE answers those concerns by noting how candidates tend to campaign in battleground states like Ohio, when every vote is equal. "There is no evidence that they ignored rural areas or favored big cities in an election in which every vote is equal and the winner is the candidate receiving the most popular votes." Another question to consider is how it would affect the two major parties. In the current system, third party candidates have little hope of making an impact in a general election. "Why Third Party Candidates Can't Win," writes The Observer, without subtlety. 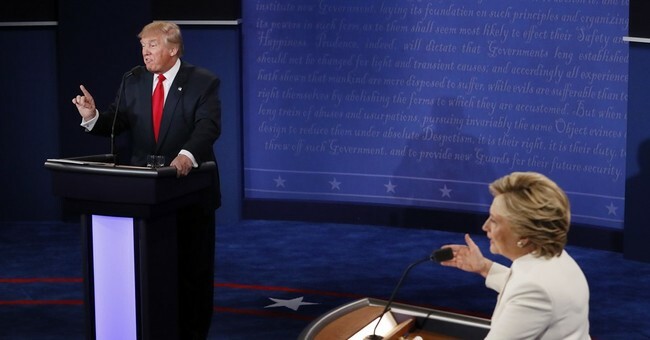 Writer Michael Malice gives a history of third party candidates who have garnered the most support, but still came nowhere near the presidency. In 1992, Ross Perot got 19 percent of the vote, but won zero states "due to the nature of American elections." Myra Adams, a media producer and writer who served on the McCain Ad Council during the 2008 McCain campaign, made her own case for the compact. She explains in an op-ed for RedState that it has the potential to turn the whole country into one big battleground, instead of having half the country sitting on the sidelines and watching the candidates go gladiator style in the 12 battleground arenas. It's not a fringe movement. As Politico reminds us, the national popular vote compact is further along than we may think. I made the same discovery when I attended an IRPE conference last summer, especially when I learned Florida is making moves toward enacting the NPV. It got more wings in October, when a Democratic state representative introduced a bill that gave Florida’s electoral votes to the candidate who wins the nationwide popular vote. The Tampa Bay Times doesn't think it has a chance to pass, but the legislation has been endorsed by The League of Women Voters of Florida. Considering most of the states who have enacted the compact so far are Democratic, some suggest the only way to move forward to is to target the other party. "It's time for a movement to focus on five to 10 Republican states with sufficient Electoral College votes to put a state constitutional amendment, or a referendum where applicable, on their 2018 ballots in support of the National Popular Vote Compact," writes one advocate in the Sun Sentinel. As for lawmakers hoping to get rid of the electoral college altogether following Trump's victory, their effort does not have as much momentum.